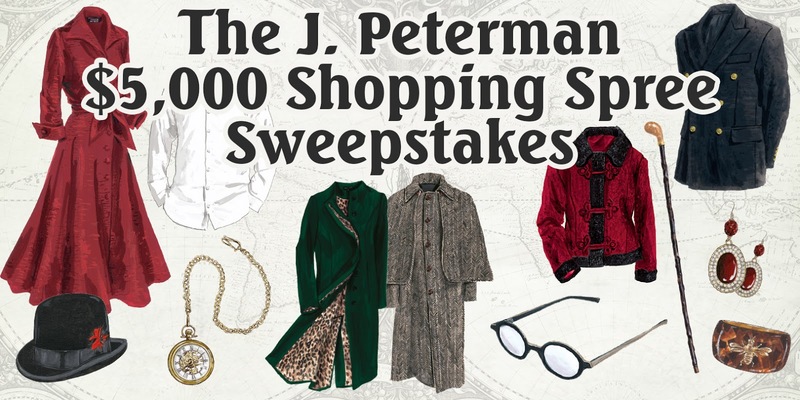 The J. Peterman Company wants you to enter daily for a chance to win a shopping spree worth $5000 to purchase cool and fashionable items from their 2016 Holiday catalog! ONE (1) GRAND PRIZE: $5,000 worth of product from The J. Peterman Company 2016 Holiday Owner’s Manual No. 142. ARV: $5,000. This Sweepstakes ends on 10/01/16 and you can ENTER DAILY to win.